My son is 5 years old and he is one of those active kids who just never sits down. I mean NEVER. He is a lovely lovely boy, but he has hard time focusing on something he is not interested in. Even if I catch his attention it only lasts for seconds. At the end of the summer I decided it’s time for him to start learning how to read and let me tell you it’s a challenging road. I have loaded up myself with lots of great advice and materials. First, I’ve tried all the things I did with my first child, who was super easy to teach how to read. Here are few things that we have tried. At the end of the post I am sharing what worked the best so far. We have been reading books aloud. We read at home every day at least for 2o minutes. I am lucky to have an older child who LOVES reading, so she has been a HUGE help those days when I or my husband can’t pick up a book a read loud. We ask to point certain letters (or words) while we are in the grocery store or even walking on the street. We play rhyming games, especially while in the car. For example, I start by saying “Sam loves … ” or “Carrot likes …..” or “Pan is like a …..”. Kids have to end my sentence with a word that rhymes with Sam, carrot, pan etc. We play TIC TAC TOE reading game with sticky notes. Learning how to read through play. Both of my kids love playing TIC TAC TOE game, so we decided to turn this game into a reading game for my 5 year old who is starting to learn how to read. 3.I try to be a good example and read books often. I usually don’t make a big deal out if, I just pick a book and sit quietly on the couch and start reading. I never ask kids to join me nor I never tell them that ‘hey, I am going to read a book’. This usually does the trick. 5 minutes later, my oldest daughter is sitting by my side with her book. This hack hasn’t really worked on my son yet. Still working on it. 4. We have been trying to follow his interests. Finding a way to nurture the child’s interest in reading is the most important part in learning how to read. One of the most effective ways in this whole learning how to read process for my son has been definitely Reading Eggs app. He actually ASKS for it every day after he comes back from pre-school. Learning how to read doesn’t have to be boring and extremely difficult. Learning how to read can be fun and easy. Why I love ABC Reading Eggs. With so many educational apps out there it’s hard to say which one is good or bad, especially if you are not an educator. I had instant trust when I saw that ABC Reading Eggs is based on up-to-date research on how children learn to read. This was the most important part for me. Why my son loves ABC Reading Eggs. Obviously, it’s the fun part! He thinks the whole experience it’s just a fun game. Which is incredible! Want to try it out? 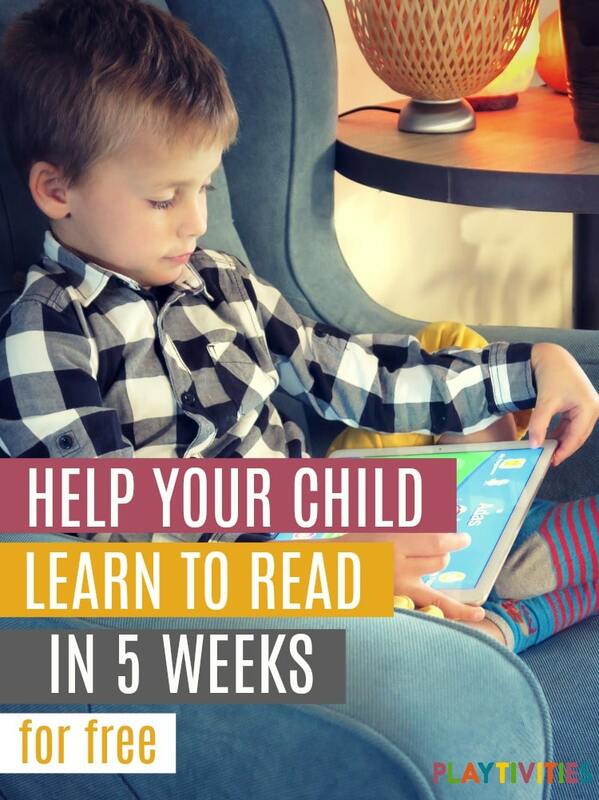 ABC Reading EGGS is giving 5 weeks FREE trial. 5 WEEKS! Your child can learn SO MUCH in this time. This is a paid post for ABC Reading Eggs. As aways, opinions expressed in this post are my own.